A break up album – maybe, a relationship album – definitely, what is beyond doubt is that ROYAL BLUE by Lilly Hiatt is a totally absorbing record. This is the second full length release from the East Nashville based artist putting an independent spin on the family name. 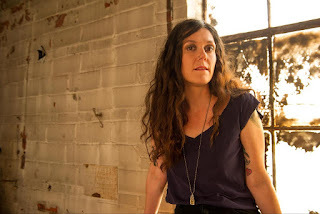 Lilly addresses the parental issue in ‘Somebody’s Daughter’ with the listener left in little doubt that she is ready to make a significant mark on the agenda of many discerning Americana music followers. This intoxicating record has a strong emotive undercurrent and flourishes at the point where powerful alt-rock meets the extreme edge of country music. The twang comes in the form of stacks of ear pleasing pedal steel guitar prevalent amongst the onslaught of indie guitar anthems, mixed with synths and drums, thus leading to a record impossible to pinpoint its defining era. If a genre label is required, look no further than indie-Americana and those tempted by a touch of twang added to their rock will be hooked by the appeal. The first two tracks ensure this as ‘Far Away’ and ‘Off Track’ get the proceedings off to a soaring start. Gradually the pace fluctuates in tune with the message that Lilly wants to get over and some serious ballads emerge as the album rolls through its twelve tracks. As you would expect from a Hiatt, the song writing is original, solo and rich in the substance of the intelligent word. The song title expertise peaks at the memorable number ‘Jesus Would’ve Let Me Pick the Restaurant’. This is one of several tracks to have an asterisk against as stand-out potential, although like so many outstanding releases, the ultimate appeal is in the single play entity. The marketing team behind the record has issued ‘Get This Right’ as the promotional piece and they prove a shrewd judge. The album may have been out in the US for a while under the progressive arm of Normaltown Records, but the eventual slated date for the release to the European market is June 3 to coincide with Lilly’s venture across the pond. In the run up, a Noise Trade sampler did make the title track available for fans to sample alongside the ‘B’ sides and ‘Royal Blue’ proves to be the perfect closer in making you hit the replay button or in the long run, yearning for Lilly’s next release. ‘Your Choice’ is the obvious ‘choice’ for those preferring their music toned down a little as this number is beautifully reeling in ballad and acoustic qualities. The general feel of this record is tilted more towards the rock side and done with an accent on quality while being in line with many of Lilly’s influences from this musical angle. This ranges from 70’s punk to alt-rock offering in the subsequent decades, though retaining a sophisticated Nashville edge which expands the potential into many camps. Listeners will find the album sonically pleasing throughout with Lilly’s vocals adding a haunting and edgy side to the tracks. It will be interesting to see how she presents these songs live in the UK when playing a series of low key dates in June in mainly listening venues. Although I’m sure stripped back versions will reveal the true depth of their compositions and establish Lilly as a potential song writing force. The multi-facetted approach in making an enduring album calling at many points has paid off immensely. 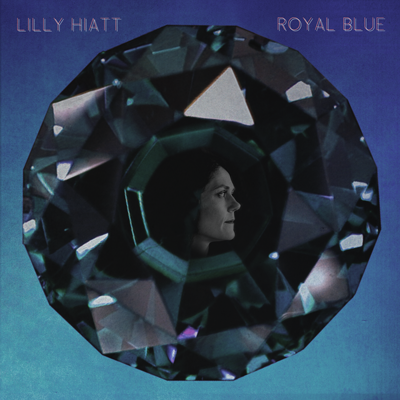 ROYAL BLUE is a regal potpourri of indie-Americana and its intersecting sound presents Lilly Hiatt as a performer equipped to break out as a successful recording artist. Make sure you are present at the second stage of this sure to be a long and winding journey.